"The highest quality value from a unique and custom design unlike any other..."
is to provide Creative Solutions for Windows with Couture Quality Workmanship. Caldwell Designs was established in 1990 to provide a full window treatment service. We do it all; we design, create and install your custom window treatments. A turn key operation. 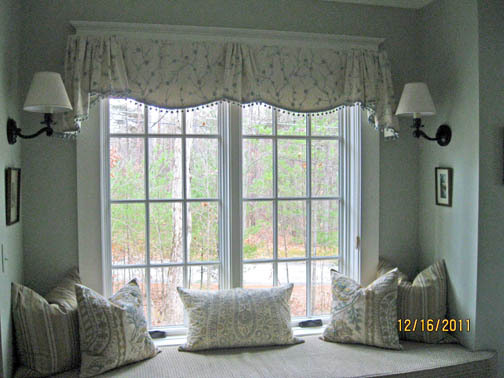 Serving residential and commercial clients and Interior Designers in Maine, New Hampshire, Vermont, Massachusetts, Connecticut, New York and New Jersey for over 20 years with a reputation for high quality window treatments.